Bridal boutique White Link operates within Singapore’s Marina Square shopping centre, at 6 Raffles Boulevard. 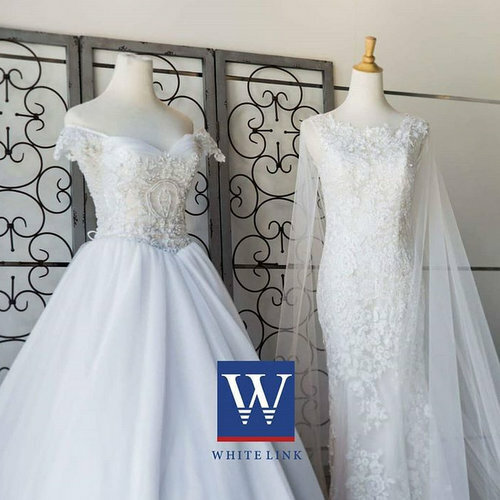 White Link is a full service award-winning bridal studio that is dedicated to making their customers wedding dreams come true. Using the company’s years of experience in the industry, you can arrange through them all the wedding essentials, local & overseas wedding photography, as well as wedding videography. White Link will leaves no detail overlooked, as their professional creative team of designers, stylists, and photographers strive to bring out the best in you on the biggest day of your life. When you purchase a comprehensive wedding day package from White Link, you’ll get the talents and energy of talented and energetic consultants, designers, make-up professionals, image stylists, and in-house photographers abounding with innovative ideas to allow your dreams and fantasies of your wedding day to come true. The official Facebook brand page for White Link bridal boutique is located at www.facebook.com/whitelinkbridalstudio/. White Link also has an official Instagram account, which in turn is available at www.instagram.com/WhiteLink_Bridal/.